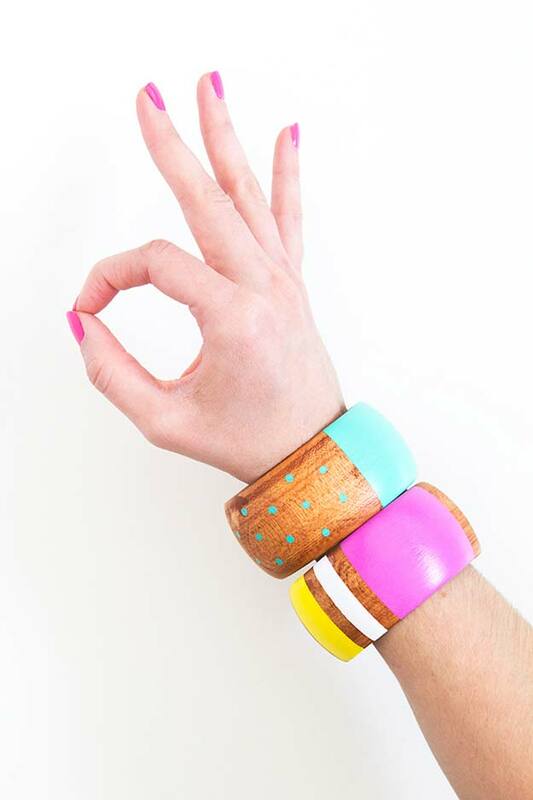 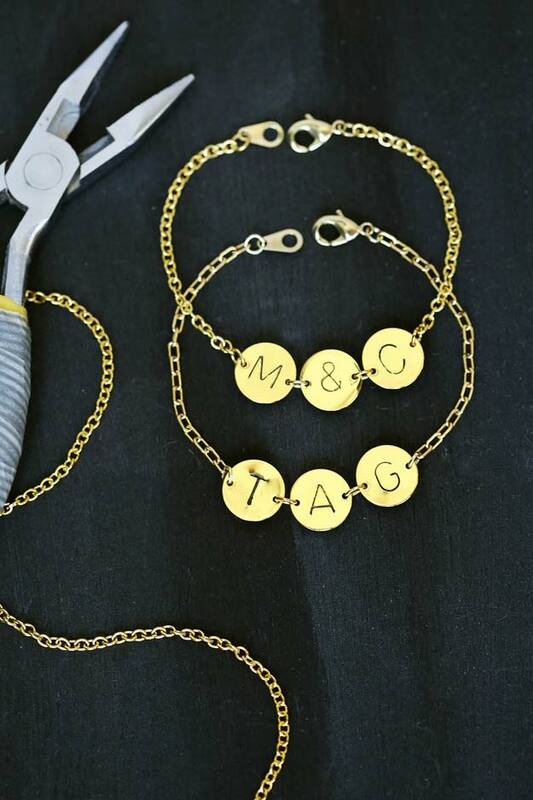 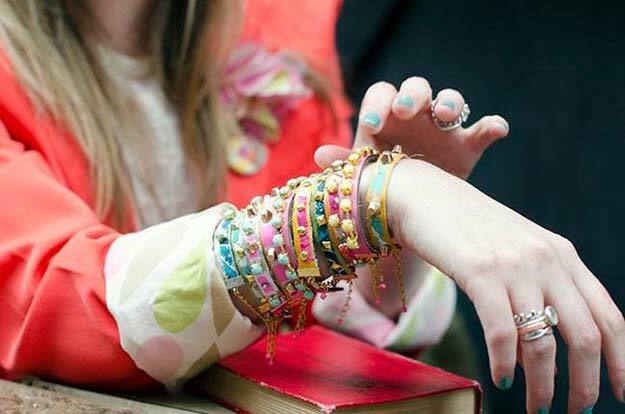 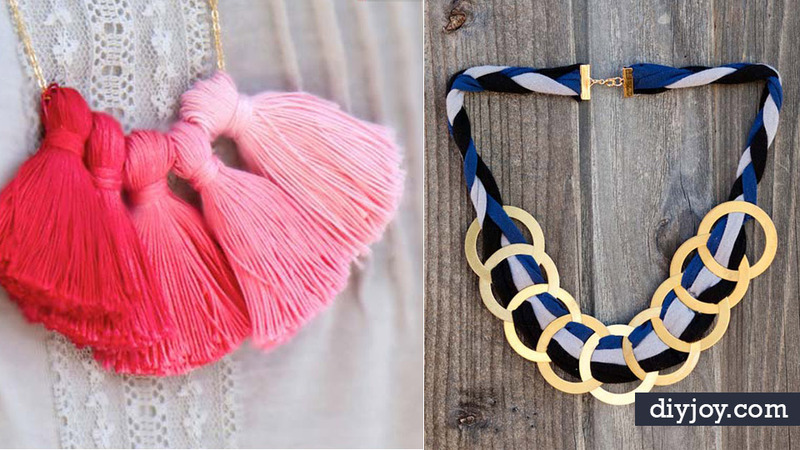 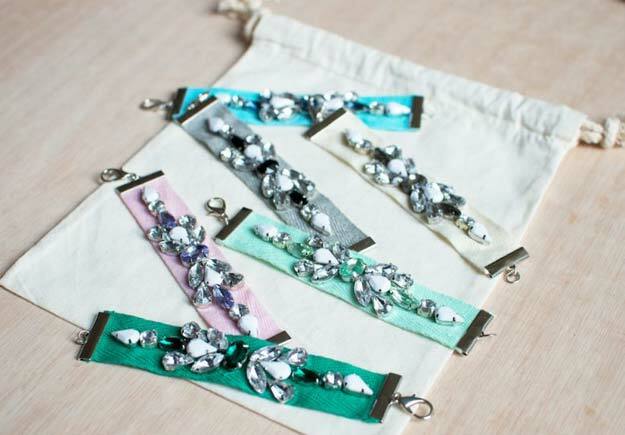 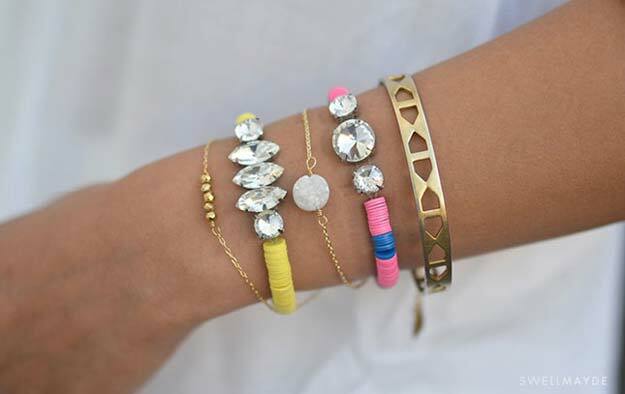 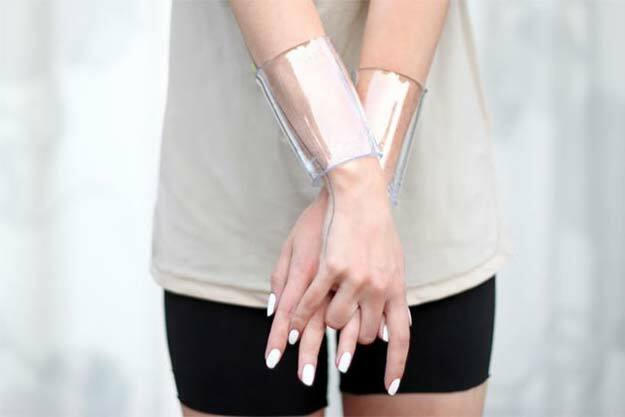 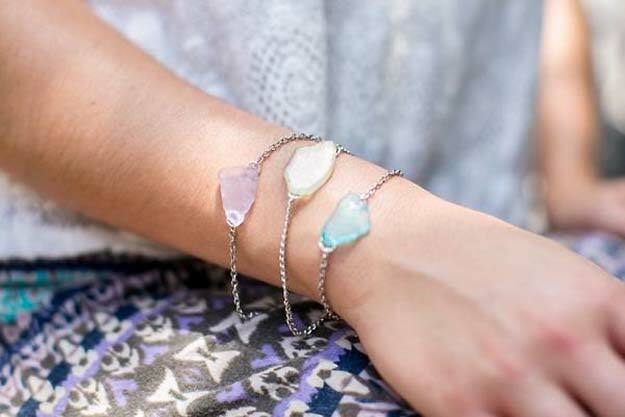 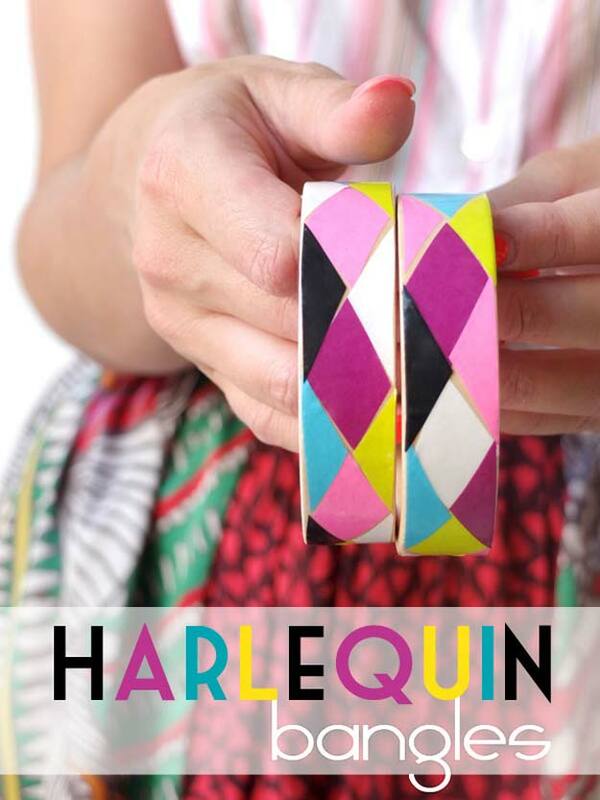 Who’s excited for some fun DIY bracelet projects? 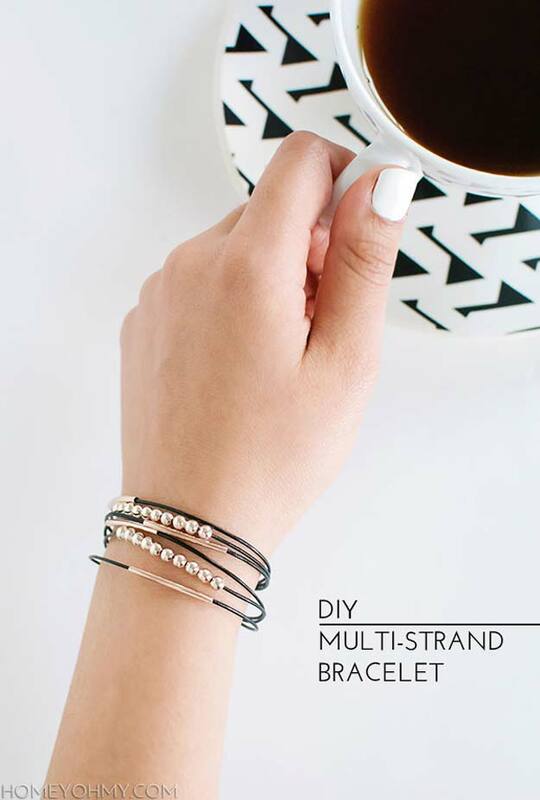 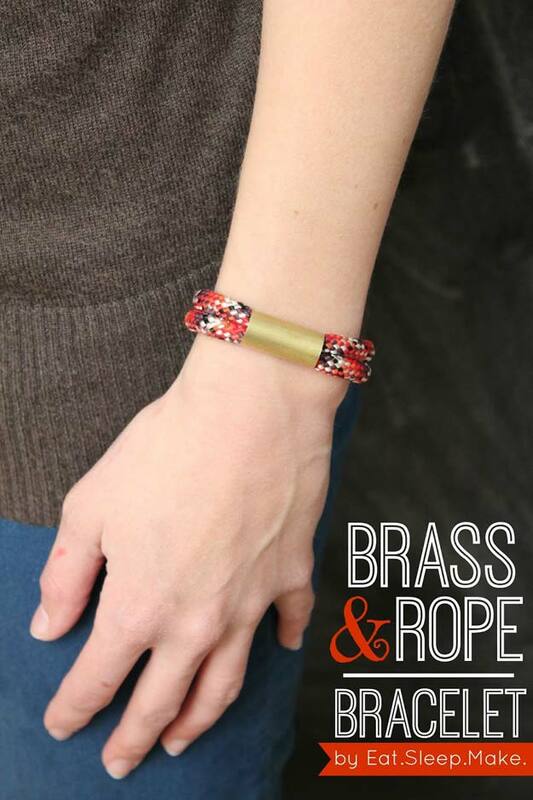 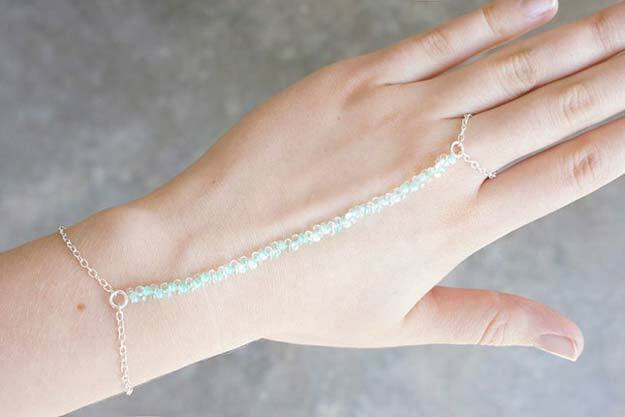 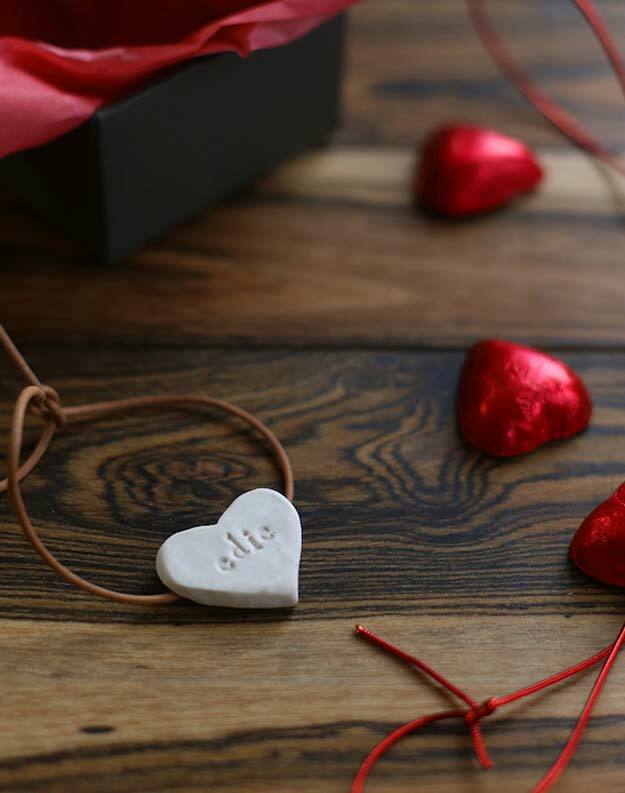 We love jewelry making, and handmade do it yourself bracelets are some of the best projects around. 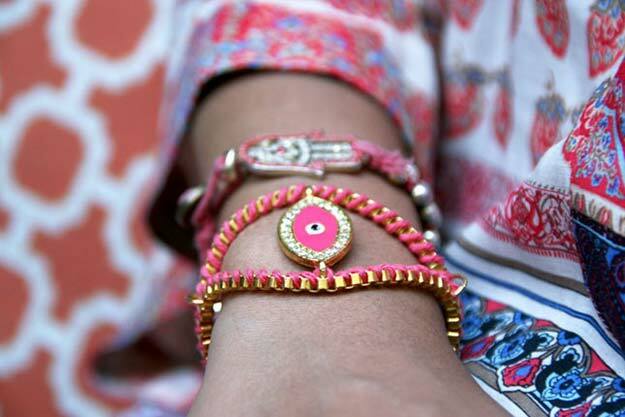 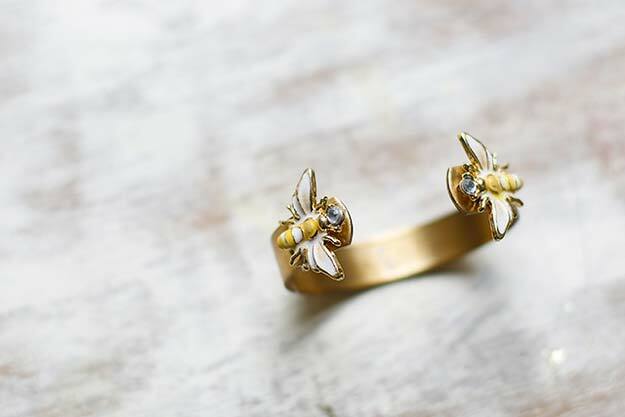 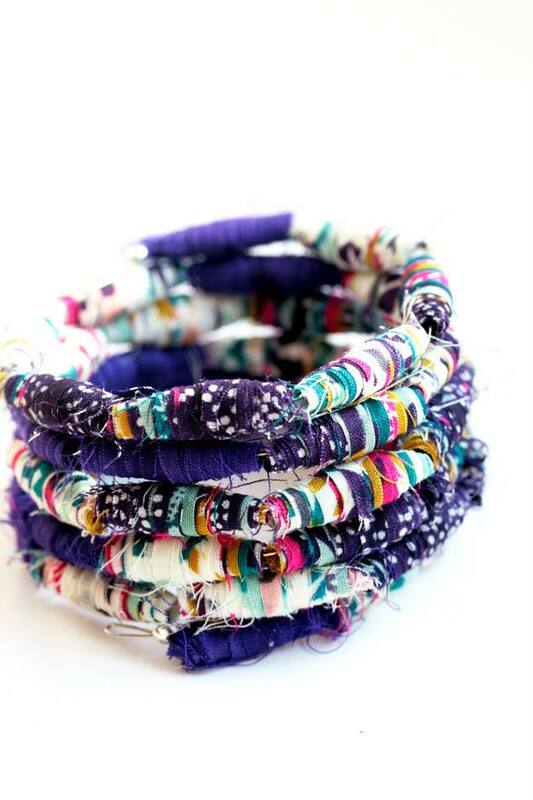 A girl never has enough bangles for her wrists, and handmade ones make the best creative expression. 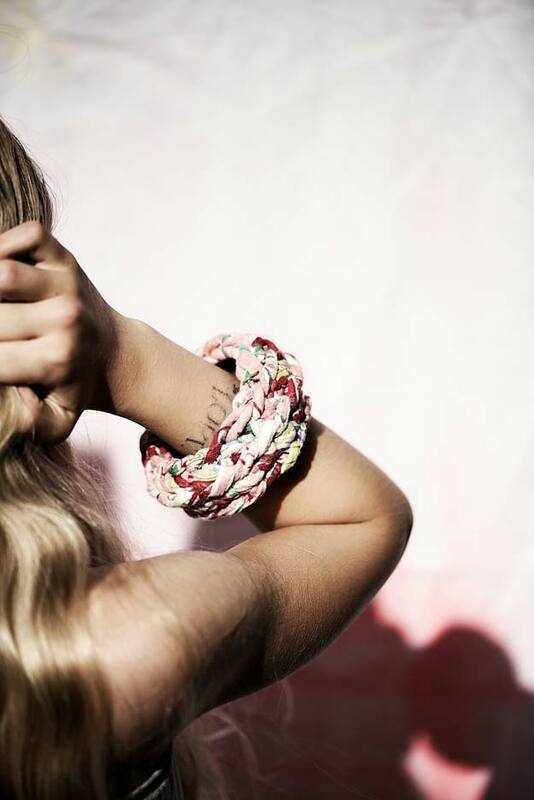 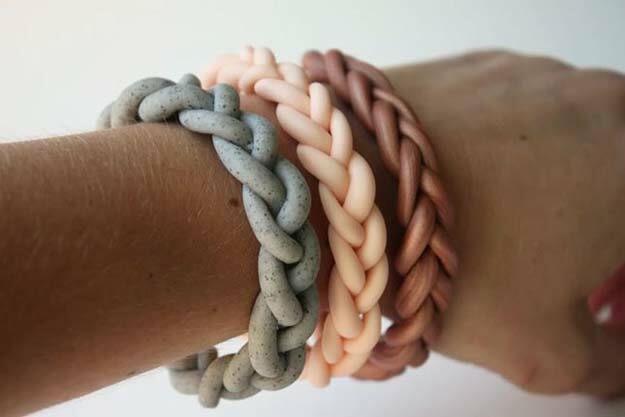 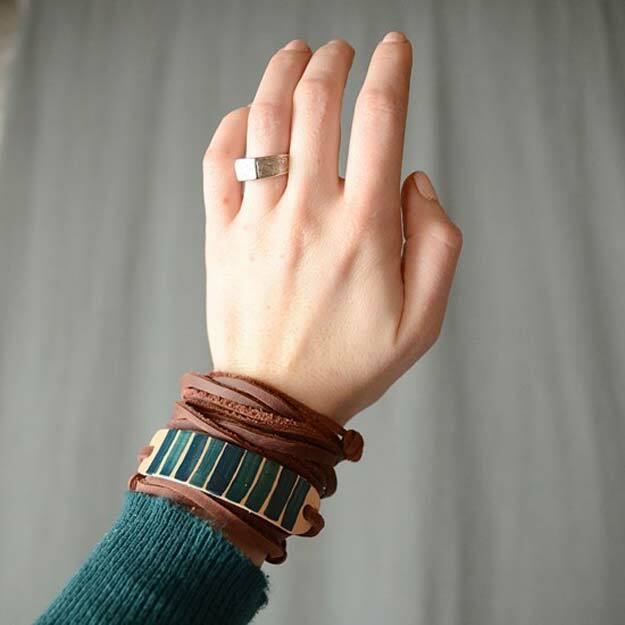 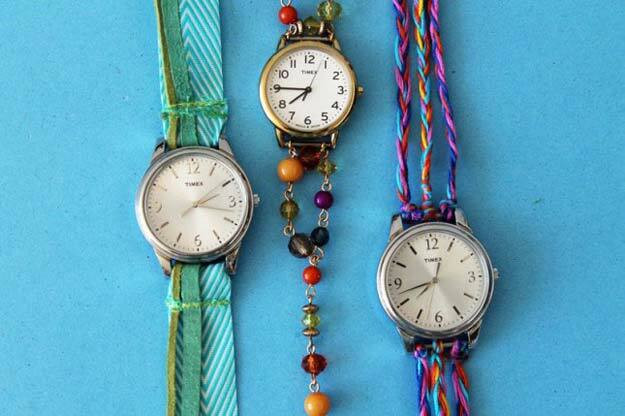 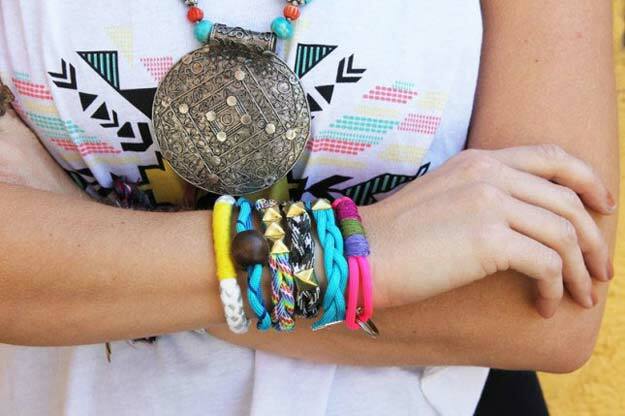 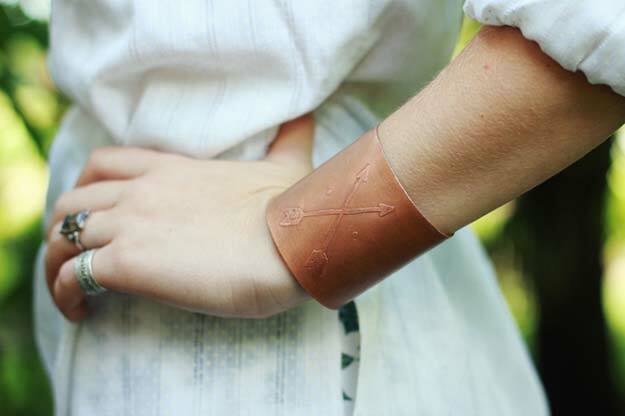 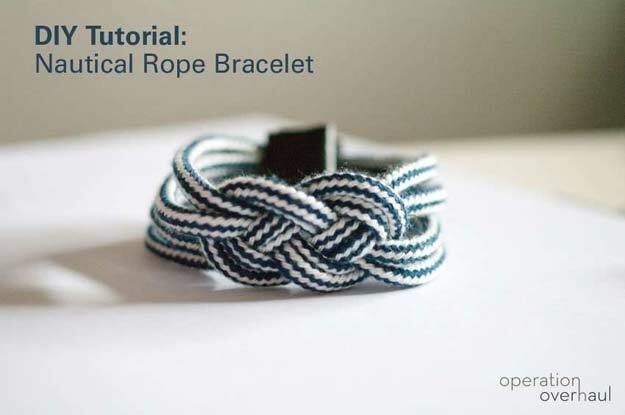 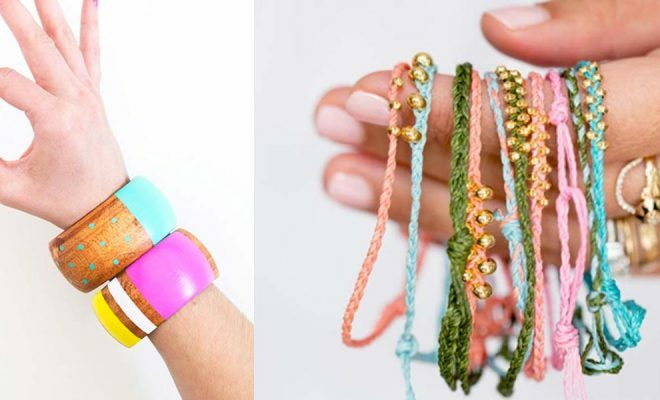 Check out this list of 47 cool, cheap and ideas bracelets you can make in no time at all. 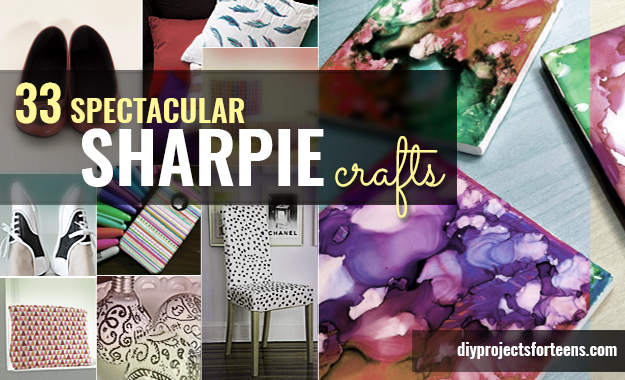 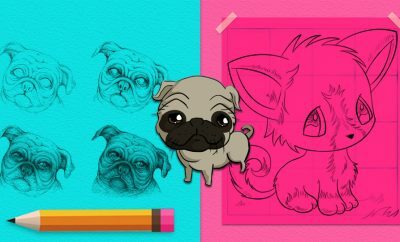 These are our top-picked projects and as we were collecting them, we got really excited for you guys to go over and pick your favorite. 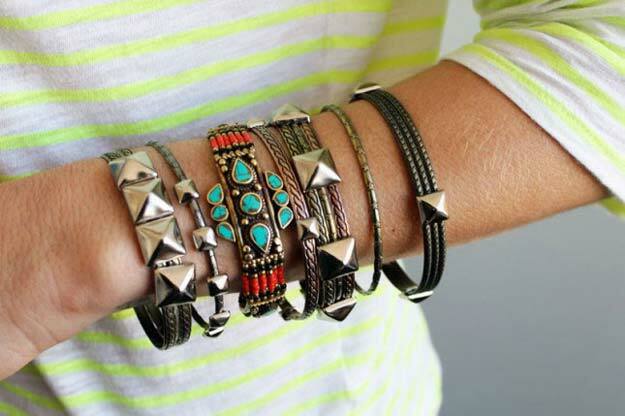 As for us, all of them are a fave! 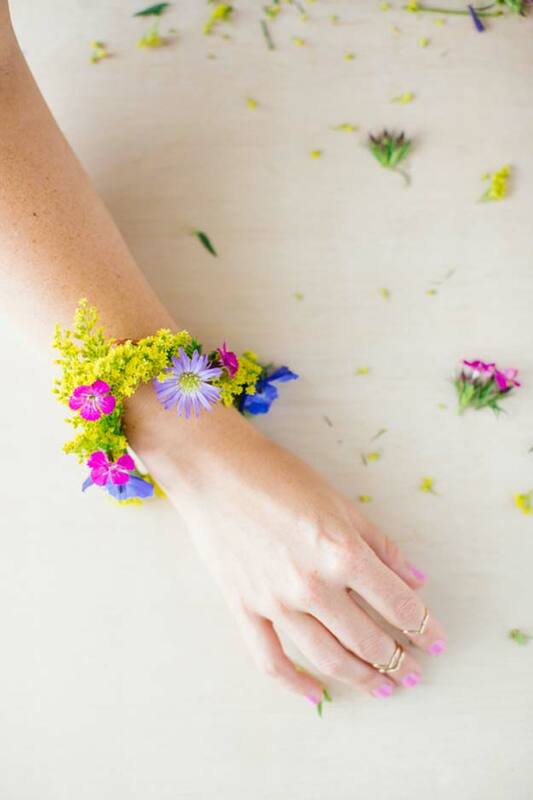 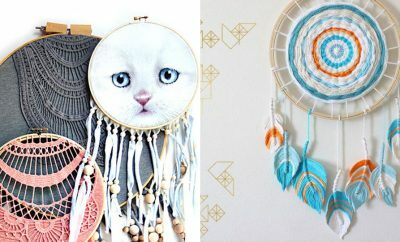 o ahead look at the most colorful, classy, simple, elegant, gorgeous boho and fun DIY bracelet projects just right here in this page! 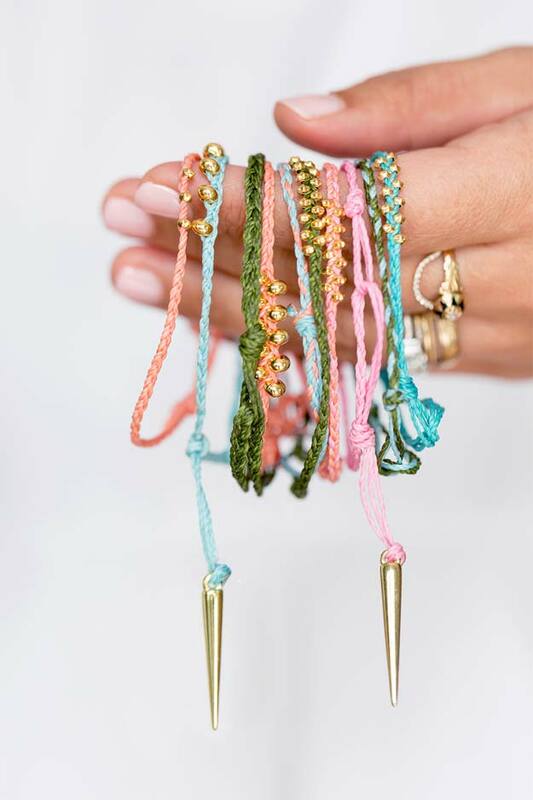 Let’s kick-start with the perfect colors for spring; Pink, Green, Blue, Peach and Gold! 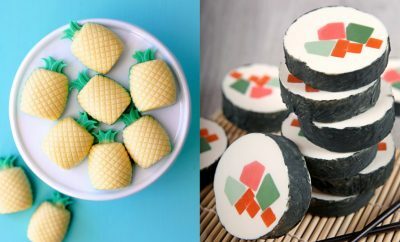 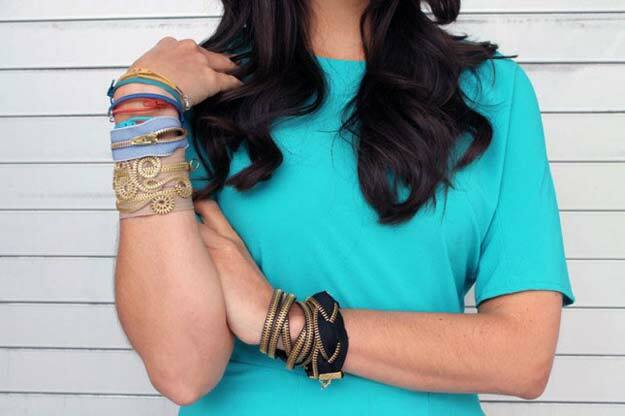 These painted bangles are so easy to do, with materials so cheap you can even go ahead make tons of them! 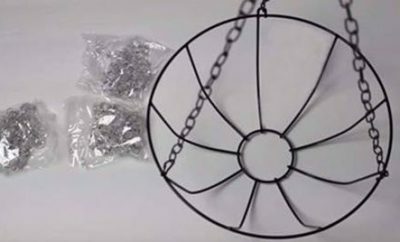 Won’t you look at that? 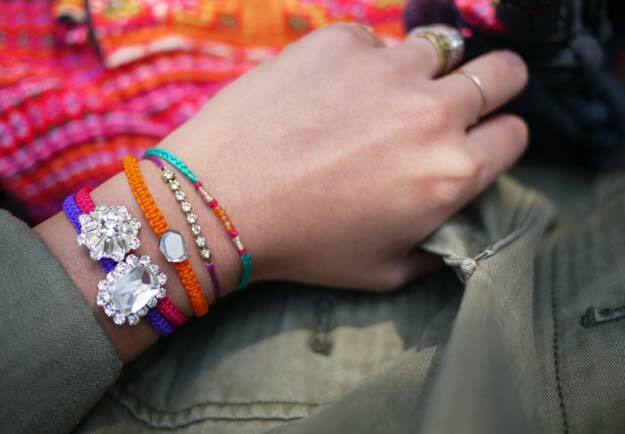 These Colorful bracelets with macrame rhinestones with them are totally sparkly and irresistible! 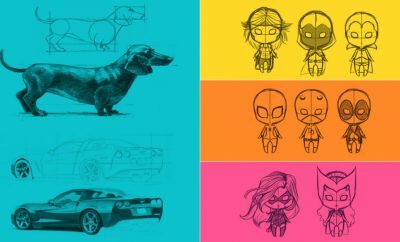 Uh. 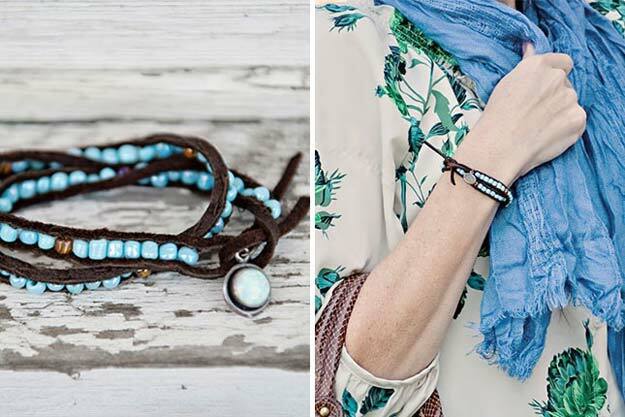 The simplicity of these bracelets tells it all. 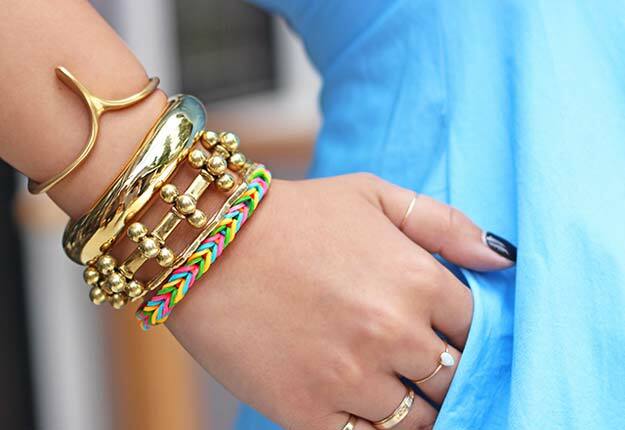 Oh the Duchess of Cambridge effect is totally on point with these classy golden bangles! 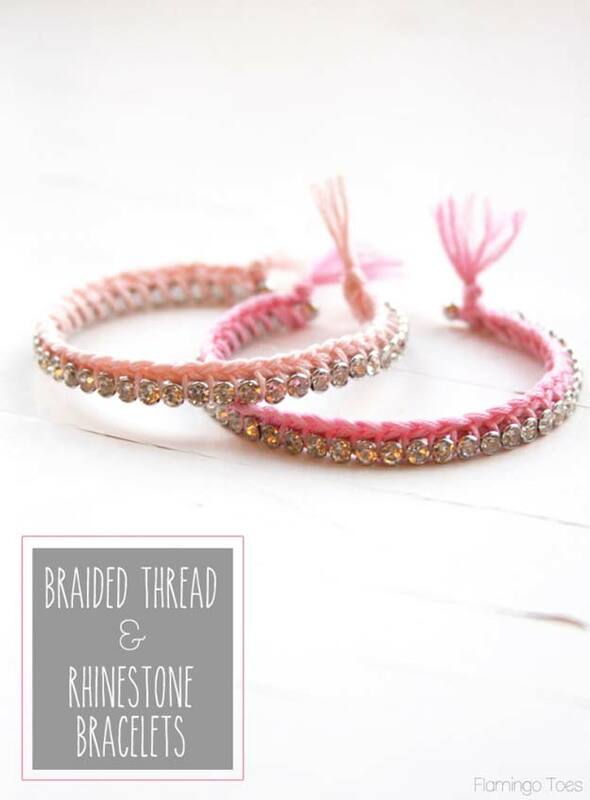 The shiny rhinestones on these pink braided threads are totally lovely! 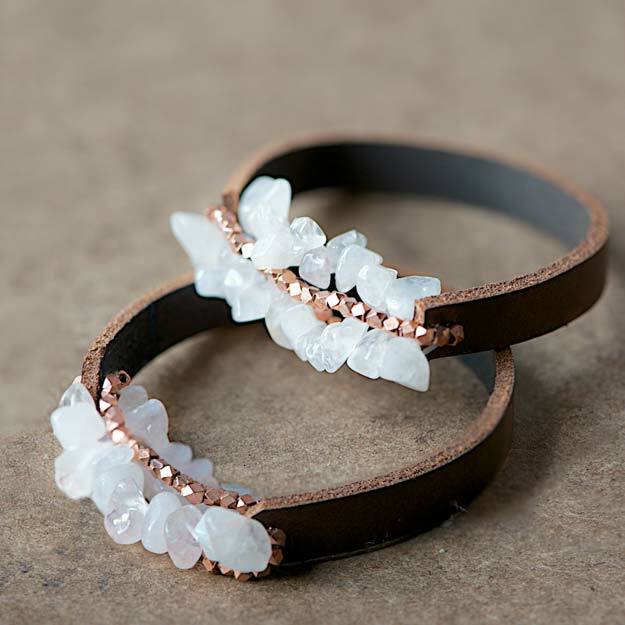 You can rock them even when you are just wearing a simple white tee and jeans. 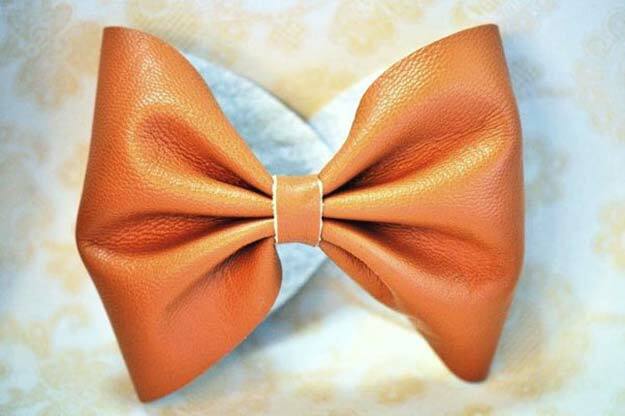 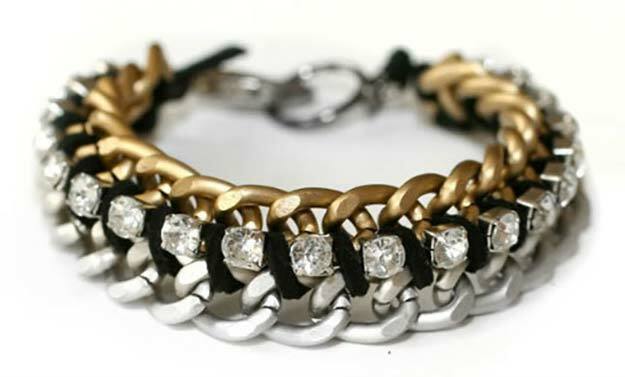 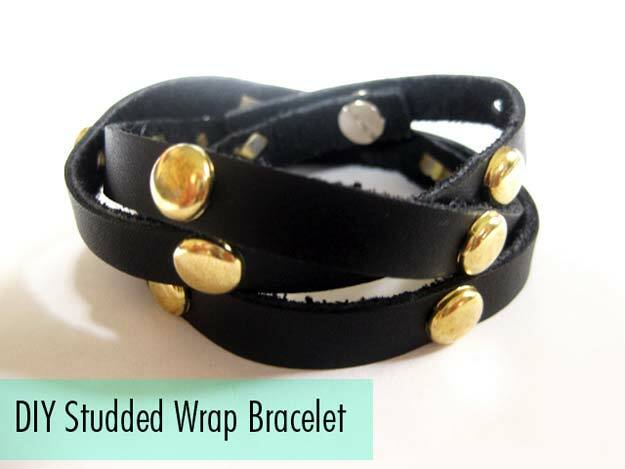 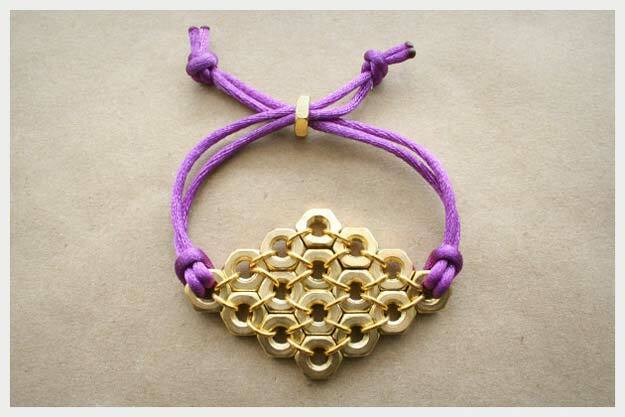 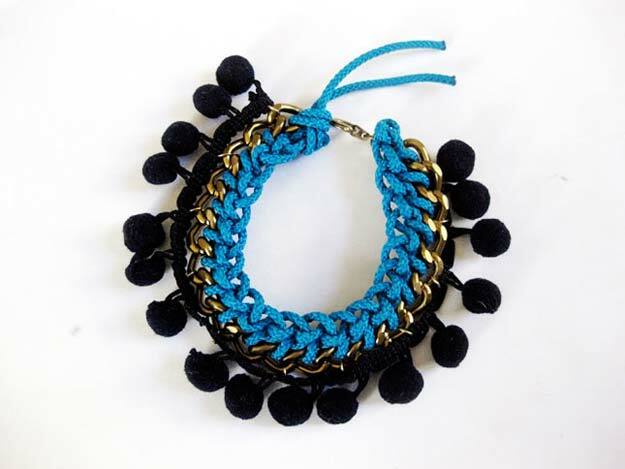 If you love leather, here’s a beaded leather bracelet for you. 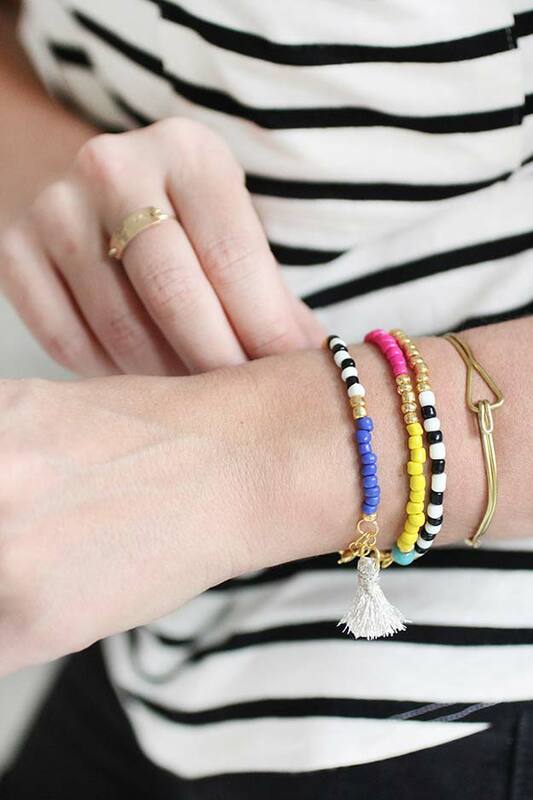 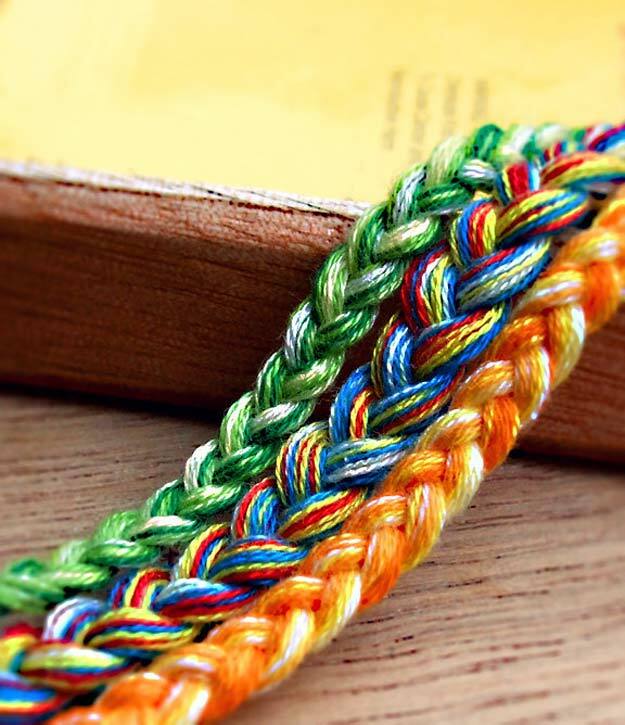 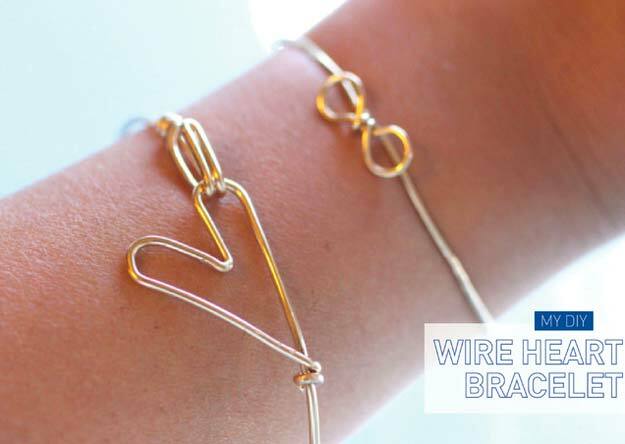 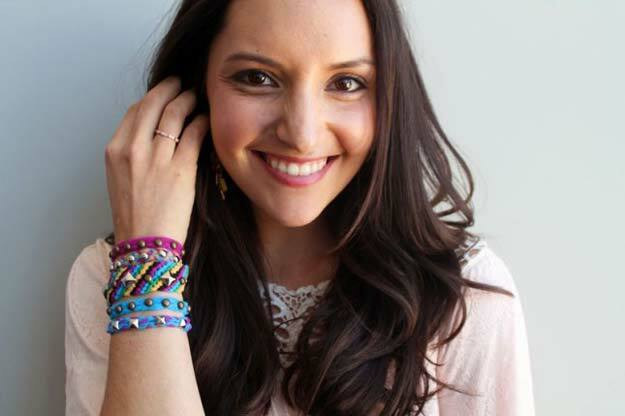 Here too is a quick tip on how you can re-vamp that friendship bracelet! 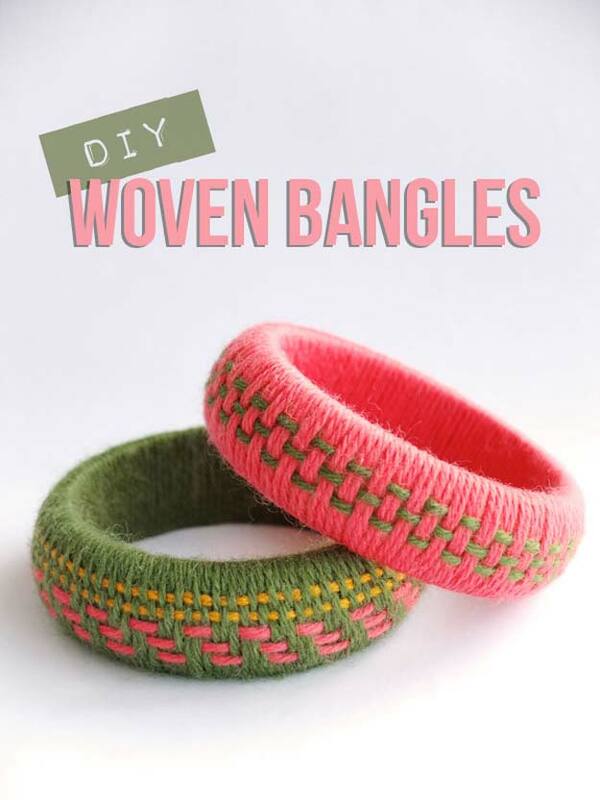 A new but not so new way of wrapping yarn to your bangles – weave it! 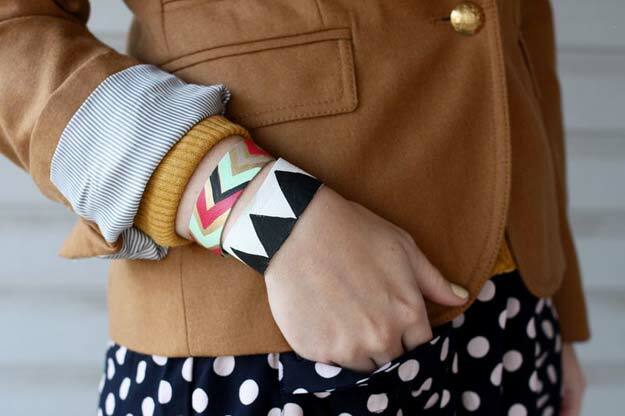 Another sweater bangles you can rock and DIY! 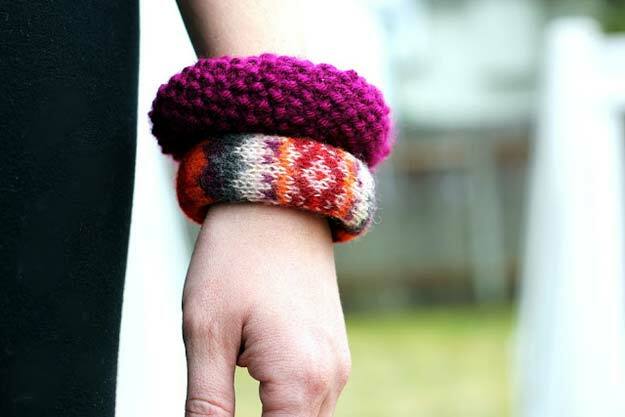 This looks so warm for when winter comes, you can still style yourself in a way it does not look awkward!